I discovered today that the Latin Vulgate gives paenitentiam agite — Do penance! — where English Bibles usually give, ‘Repent!’ in Matthew 4:17. The Greek is metanoeite; the automatic instinct is to opt for the English. The Latin would seem to tend towards simply performing some sort out outward act, mere ‘works righteousness’ without a related renovation of the heart. Or perhaps a purely sacramental version; confess to a priest and perform the penance assigned. Certainly, it could be read that way. It has been used that way. 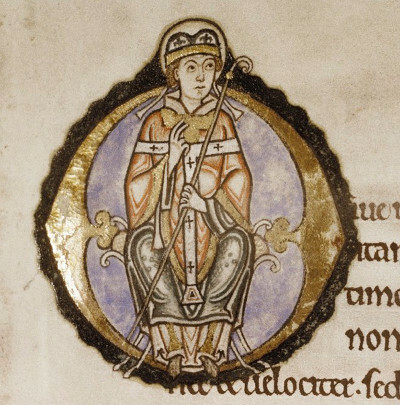 For Ivo of Chartres, who has come up on this blog a few times lately, paenitentiam agere may better be, to carry out penitence. It is interesting what happens with the switch of verb and the switching out of one English derivative from paenitentia for another. Ivo is insistent in his letters that just because a person — be he king or bishop — has performed some outward act of charity or discipline does not mean that true paenitentia has occurred. Paenitentia involves the inward workings of the human heart. These are visible to God alone. However, for Ivo, as for medieval culture more generally, the inner person will manifest itself in outer deeds. Thus, to carry out penitence will necessarily involve both true contrition for sin and behaviour that shows a desire, a willingness, to change. Today’s Protestant is probably still wary of this question of the outer behaviour. For Ivo, as represented in the Prologue that he wrote for his canon law collection (the Decretum — a title it shares with many other canon law collections! ), the canons of the church are remedies for sin. These canons include the order for administering penitence. I am not going to get into the concept of temporal penalties for sins in mediaeval theology for two reason: 1. I don’t feel like offending any Roman Catholic readers; 2. I am not sure what it’s development looked like in the Middle Ages. Nevertheless, whether someone believed that penitential acts could get them time off Purgatory, Ivo’s argument is fairly simple: they help you become holier. That is, with the aid of the grace of God working in you, your penitential actions will help make your soul healthier (remember the medical imagery he uses) and thus more able both to perform virtuous deeds and resist temptations to sin. This, I think, carries with it a fuller understanding of repentance than our usual English translation of metanoeite in Matthew 4:17. Is it biblical? Well, I hope so. Here is a brief thought on metanoia: it is a word used in various situations to refer to a changing of directions — perhaps changing sides in a war, for example. To risk the etymological fallacy, it seems to have something to do with changing your nous, your mind/intellect/heart/however you wish to translate that word. In that case, Jesus is referring to changing the direction of your life and heart to live in the Kingdom of the Heavens. 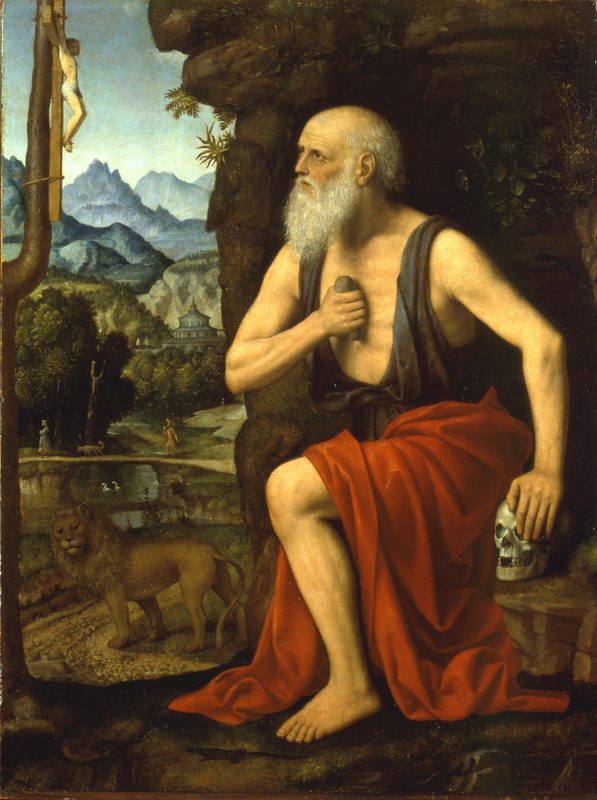 To effect that change — well, here we fall back on St Paul’s various lists of virtues and vices, of fruits of the Spirit, and his exhortations to pray, to worship God, to rejoice in the Lord, to work out our salvation with fear and trembling. It strikes me that what Ivo is doing is trying to find specific applications of St Paul’s general principles for the health of those Christians who write him letters or who use his canon law collection. And one last thing — Ivo’s Christian is not alone, not sitting about performing penitential deeds in isolation. Ivo’s Christian, clerical or lay, is part of the militia Christi — the army of Christ. He or she is a communicating member of the local Church, having received the sacrament of holy baptism and partaking of the blessed sacrament of Holy Communion. He or she is a hearer or reader of God’s word, whether in sermon or from a book. This is the context of ideal mediaeval penitence — the real life of the church as lived in community by real people. Ivo of Chartres, Prologue, in Somerville and Brasington, Prefaces to Canon Law Books in Latin Christianity, pp. 132-158. Should earlier have flowed, with Christ’s good will. This is from a stanza of a poem to the Mother of God in Medieval English Verse, the Penguin Classic translated by Brian Stone, p. 69. My Protestant sensibilities are not much moved by the poem’s appeals to St Mary the Virgin, but this stanza struck me as a potent reminder of the human condition, however much we may try to avoid speaking of it these days. Wrongdoing runs deep in the human soul, and the mediaeval mind was profoundly aware of this fact, as were the pious men and women of the Early Modern Age. Have our cries of, ‘Grace, grace!’ deafened our ears to the sounds of sin today? Would it be so wrong to ‘moan and bewail’ our manifold sins and wickedness as the 1662 Book of Common Prayer says? Perhaps some ages were too obsessed with sin. And perhaps a fault of our age is ignoring it and taking it too lightly. One of the most popular Psalms of all time (right up there with 23 and bits of 119) is Psalm 51, Miserere mei. If you were at an Ash Wednesday service at the beginning of this holy season of Lent, you probably recited this Psalm, or at least heard it sung in Renaissance Latin polyphony by a beautiful choir (as I did). The popularity of Psalm 51 is visible beyond worldwide Ash Wednesday services. It was part of the Daily Office in the mediaeval British Use of Sarum at both Lauds and Vespers. I have heard it sung at Eastern Orthodox Vespers on more than one occasion. Psalm 51’s presence in the Daily Office of the western church is no surprise, given that Benedict lists it explicitly as part of Sunday Matins (ch. 12). If one were to scour liturgical books, Psalm 51 would be one of those items that crops up fairly often. This is what Psalms are for. They are for singing and for praying. They are for providing us with a biblical outlet for our spiritual lives. Psalm 51, written by King David after he had been confronted by Nathan the Prophet following the death of Uriah the Hittite and David’s adultery with Uriah’s wife Bathsheba, is a wondrously apt Psalm for repentance. There are two great levellers in human experience — sin and grace. All Christians everywhere have felt the weight of their own sin at times. Even as grace lifts us up as children and heirs of God, sin brings us down to remind us that we are unworthy of this honour. And so time and again, we turn to Psalm 51 to lament our sins and acknowledge our wretchedness (as in the BCP collect for Ash Wednesday). So let us all reflect upon the words of this Psalm. In 1662, you would have sung it or recited it in the words of Coverdale’s translation. If you know how to do a basic Anglican chant and you’re not in an office or a Postgrad study space, William Law encourages you to sing the Psalms aloud. Athanasius assures you that in singing you take up the role of the Psalmist more fully. Psalm 51. Miserere mei, DeusHave mercy upon me, O God, after thy great goodness : according to the multitude of thy mercies do away mine offences. 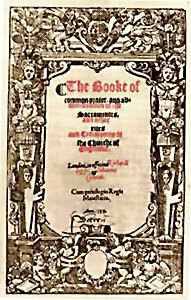 This year marks the 350th anniversary of the 1662 Book of Common Prayer, an edition of said book that was to endure for centuries with little or no modification, and from which all of today’s Anglican Prayer Books, from Edinburgh to Toronto, from New York to Singapore, from Nairobi to Wellington are descended. This book is descended from the work of Thomas Cranmer in the sixteenth century, itself a reformed, Anglicised version of the mediaeval Latin Use of Sarum (from which I have my translations of the marriage ceremony and a version of Vespers available on this site). 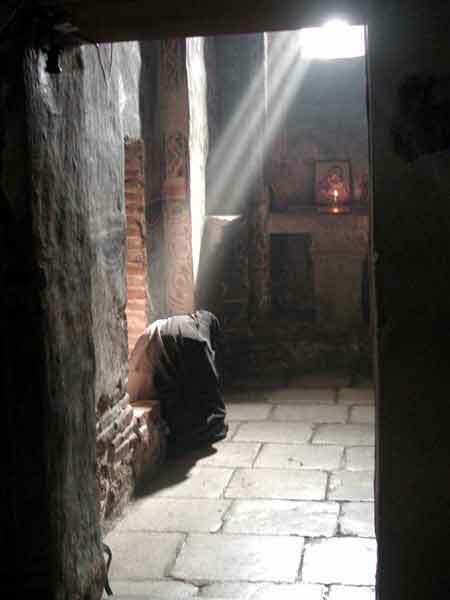 BRETHREN, in the Primitive Church there was a godly discipline, that, at the beginning of Lent, such persons as stood convicted of notorious sin were put to open penance, and punished in this world, that their souls might be saved in the day of the Lord; and that others, admonished by their example, might be the more afraid to offend. Instead whereof, until the said discipline may be restored again, (which is much to be wished,) it is thought good, that at this time (in the presence of you all) should be read the general sentences of God’s cursing against impenitent sinners, gathered out of the seven and twentieth Chapter of Deuteronomy, and other places of Scripture; and that ye should answer to every Sentence, Amen: To the intent that, being admonished of the great indignation of God against sinners, ye may the rather be moved to earnest and true repentance; and may walk more warily in these dangerous days; fleeing from such vices, for which ye affirm with your own mouths the curse of God to be due. The service proceeds to list various sinners the Bible calls ‘accursed’ — not just idolaters or cursers of parents, but those who move their neighbour’s landmark as well. Most of us would agree with someone who listed these sins that they are bad — those who purposefully divert the blind, adulterers, fornicators, murderers of the innocent for profit, those who trust humans rather than God and the rest. But we are careful today to use the word ‘cursed’ of those who commit these sins. Deuteronomy isn’t, declaring a whole swathe of sinners cursed (Gk. epikataratos, Lat. maledictus)* before entering the Promised Land. And in Deuteronomy, as in 1549 and 1662, the people are to answer, ‘Amen,’ to each declaration of cursedness. I do not think that this service is either excessively ‘Reformed’ in the most dour vision of the Reformed or ‘mediaeval’ in the most fire-and-brimstone vision of mediaeval piety. The purpose, as with much mediaeval and Reformed proclamations of sin, is to call sinners to repentance. No doubt the Mosaic version had much the same bent. Sin is a reality and it has real consequences. Part of Lent, at least in western views since the Middle Ages, is to repent us of our sins. If the list of sins seems a bit much to us, perhaps that is good. Perhaps we need a reminder of our own ‘wretchedness’ (to use another BCP word). Once we stand face to face with our own depravity, then can we all the more rejoice in God’s grace. This is the end goal of healthy mediaeval and Reformed piety. Not for us to spend our lives in sack cloth and ashes, rubbing excrement on our faces like King Priam upon the death of Hector. No, rather, it is for us to acknowledge our own brokenness and to turn to the redeemer for the grace he gives and to be transformed into his likeness. Finally, a note for those who think this sort of call against sinners is ‘Old Testament’ or ‘too mediaeval’ or ‘Reformed’, take note of the lists of sinners who will not partake in the Kingdom of God according to St. Paul, take a look at Tertullian’s work On Modesty, observe Leo the Great’s calls to sinners, read the Eastern Greek Mark the Monk’s fear for his own salvation despite his asceticism. It is a healthy balance to our joy, not something to abandon because of certain excesses in particular times, places, and traditions. *If I can’t do Hebrew, I can at least pull out the Classical languages!